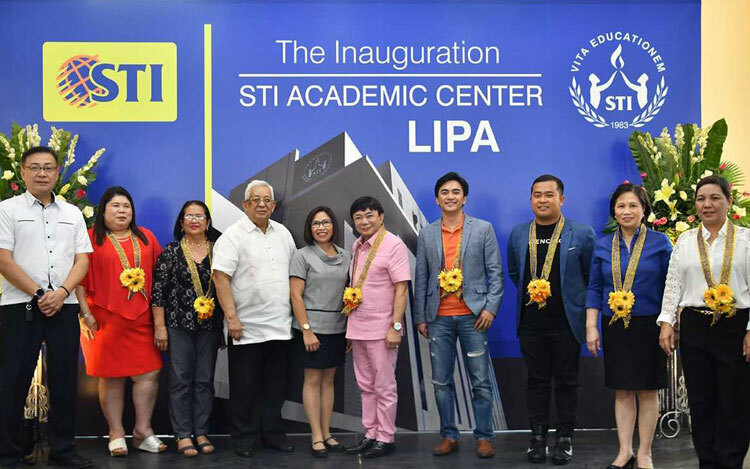 LIPA CITY, BATANGAS â€“ STI Education Services Group, Inc. (STI ESG) inaugurated its newest academic center, a prime hub of world-class education, located at CM Recto Avenue, Barangay 6, Lipa City on February 20, 2019. STI ESG takes pride in the new STI Academic Center Lipaâ€™s state-of-the-art facilities housed in an eight-storey structure with roof deck that stands on a 3,222-square-meter property. With the aim to offer real life education, the new campus is equipped with simulation laboratories for hands-on learning, air-conditioned classrooms with flat screen TVs, a basketball court, multimedia centers, and student activity areas with internet connection among others. â€œThe successful completion of our campus in Lipa City reflects our commitment to continuously improve the delivery of quality education by highly investing in campus expansion to provide our students with a conducive and world-class learning environment,â€� said STI ESG President and COO Peter K. Fernandez. It will offer senior high school tracks as well as tertiary courses in Information & Communications Technology, Business & Management, Hospitality Management, Tourism Management, Engineering, and Arts & Sciences. The inauguration of the PhP548 million STI Academic Center Lipa marks the latest addition to the growing number of STI Academic Centers in the country. These include campuses in Batangas, Las PiÃ±as, Calamba, Cubao, Lucena, Caloocan, Ortigas-Cainta, Novaliches, Fairview, Naga, and Global City. primes its students by devising curricula and training programs that conform to the needs and demands of the ever-changing industry trends. STI ESG further grooms its students for potential employment by utilizing its expansive network of affiliates in various industries. These partners prepare students for the workforce through internships, work immersion programs, trainings and workshops, licensure exam preparation, seminars, and other industry and business specific programs which provide avenues for the students to apply their knowledge and skills in the real world.